As we prepare for this New Year’s Eve celebrations, with hope for better tides glistening on the horizon, I can’t help wondering what Mr Mackay or even the valiant Captain James Cook might think were they able to take a peep beyond the 18th century. 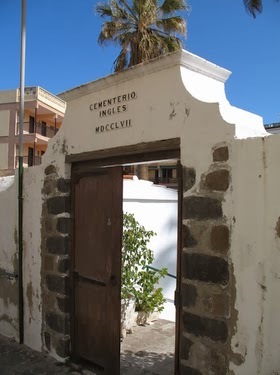 You see, there is a magnificent, restored property, hidden now beneath a mass of modern, cement urbanisations, which hosts one of the most attractive and indulgent of New Year’s Eve parties for Canary Island revellers. 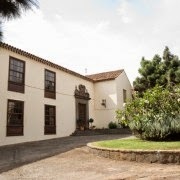 It is known as Finca Mackay, after a Scottish merchant who settled on the Atlantic island of Tenerife two hundred and fifty years ago. He owned the splendid 16th century Canary Island mansion overlooking the bay and port of Santa Cruz and Captain Cook, Britain’s most famous navigator, maritime explorer and cartographer, was once his honoured guest. Local records show that on 1st August, 1776 lookouts on the San Cristóbal fortress signalled that sails were approaching from the horizon. It wasn’t long before two splendid ships boasting the British fleet’s red ensign sailed silently into the bay of Santa Cruz and anchored within rowing distance of the waves lapping the shore. It was Cook on his third and last voyage of discovery, and it is remarkable to think how it was in this same arena, almost exactly twenty one years later, that Horatio Nelson lost his arm and suffered his only defeat when he decided to attack Tenerife. But who knows exactly why Cook, the great English hero, chose to accept Mackay’s hospitality. One might imagine Cook felt the need to drift inland, away from the monotonous blue, for one last chance to savour the offerings of a fellow gentleman before confronting his third great voyage of discovery. Some historians suggest Mackay was already a friend of Cook’s. Others believe there were in fact two logical reasons. One was because the house was blessed with a perfect view of the bay where his ships, HMS Resolution and HMS Discovery, commanded by Charles Clerke, lay anchored. The other was that Mackay’s house, which local pronunciation gradually modified to Macario’s house, was surrounded by lemon groves. 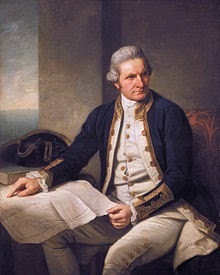 Both explanations coincide with the idea that Captain James Cook, a quiet and thoughtful gentleman known for his common sense and meticulous planning also possessed extraordinary humanity, especially in trying to improve conditions for his seamen. Indeed it is difficult to imagine the hardships faced by seamen of the Royal and Merchant navies of the 18th and 19th centuries, but filth aboard ships and resultant infections were responsible for more deaths than battles or shipwrecks. Cook, more than any other, insisted upon cleanliness and a healthy environment upon his ships. He was often more interested in preventing sickness than in sighting a new shore. Unfortunately, long voyages like the ones he was commissioned to embark upon often meant a lack of fresh food and constant threat from the dreaded Skurvy, the seamen’s illness which Cook feared more than any foreign enemy. 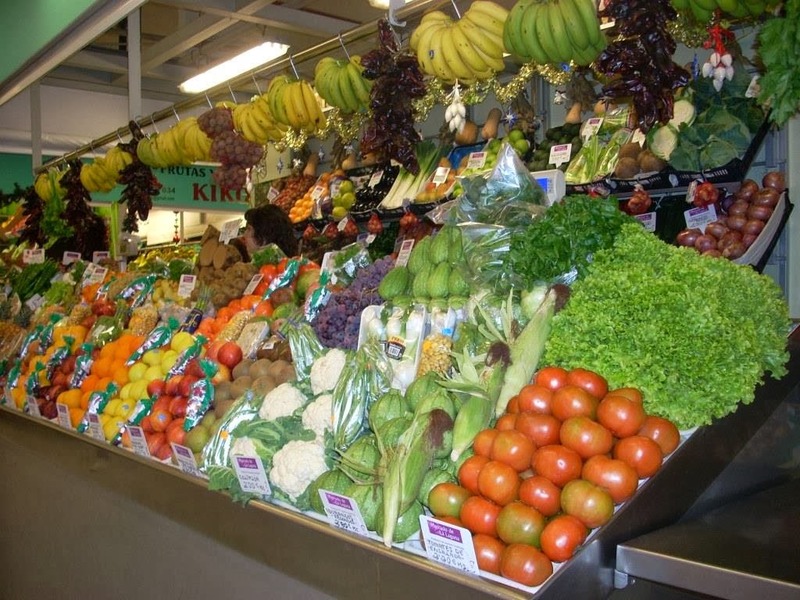 That is why, when he arrived at Santa Cruz in August, 1776, Cook despatched men to purchase as many fresh greens as possible, especially from landowners in the town of Tacoronte and beyond. These would be preserved by sandwiching them between layers of salt. James Cook took some of his men up the slopes to just below the town of San Cristobal de La Laguna, the island’s original administrative and religious capital after the Spanish final conquest in 1496. That was where he gratefully accepted Mr MacKay’s invitation. I suspect the great navigator was not so much interested in the private comforts of a grand house but rather in what the Scotsman could provide for the wellbeing of his seamen and they returned to the port with cartloads of lemons from Mackay’s land. Early medical studies proved that the consumption of ascorbic acid or Vitamin C, found in lemons and oranges, led to the prevention of scurvy. 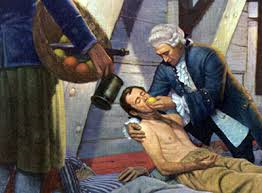 James Lind, an Edinburgh surgeon, conducted numerous experiments in 1747 using six sailors who were sick with scurvy. He treated them individually with cider, sulphuric acid, vinegar, purging with sea water and with a paste containing garlic, dried mustard seed, dried radish root, balsam of Peru and gum myrrh. Only two of the six patients survived. Luckily for them Lind had also given them lemons and oranges. Although the Edinburgh surgeon never scientifically explained why citrus juices were so effective, his four hundred page work, Treatise on Scurvy, published in 1753, led to the Admiralty recommending that ships stock not only wort of malt, the preferred antiscorbutic agent and more popular with the crew, but also lemons and oranges. It was already a custom for British seamen to be allowed regular gulps of fermented liquor, and ale was the standard ration as early as the 14th century. By the late 18th century beer was considered a staple beverage and essential to soothe the hardships of sea life, as well as a medicine, like wort and malt, to help prevent scurvy. Captain Cook administered an infusion of malt in his attempts to prevent scurvy although it seems his own experiments to determine whether wort was in fact a cure were inconclusive. 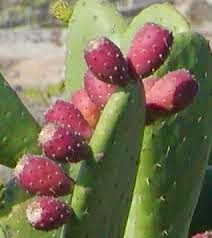 So, persevering in his regime of cleanliness, fresh air and an antiscorbutic diet he encouraged naturalists who accompanied him on his voyages to identify any edible plant which might help fight scurvy. He also eagerly adopted other remedies like carrot marmalade and concentrated lemon juice. Thus his main objective upon landing on Tenerife was to obtain Mr Mackay’s lemons. Forcing his seamen to take concentrated lemon juice as well as sauerkraut on a daily basis was not popular, as one can imagine, and it was only after he ordered that his officers should set an example and take the same medicine that the murmurings amongst the crew ceased. 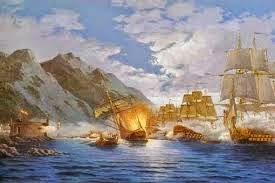 Whether his preference for Tenerife lemons resulted or not in maintaining a healthy crew, what is certain is that Captain Cook won the battle against scurvy aboard his ships. Not a single member of Cook’s crews perished as a result of scurvy and The Royal Society awarded him the Copley Gold Medal in recognition of his efforts to improve the health of British seamen. In 1620, a group of Puritans, better known as the Pilgrim Fathers, sailed across the Atlantic Ocean from the English port of Plymouth on a square-rigged brigantine called The Mayflower. It was another Mayflower which sailed to Tenerife in 1776. Her master was Pleford Clark, an experienced seaman. She weighed 150 tons and carried fourteen guns, like any merchant vessel of the time, for self-defence. There were enemies around every head of land and merchants were at the mercy of marauding pirates of all nationalities, like the French or Turks. In fact any enemy ship could be considered a pirate. 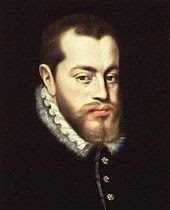 As I suggested in earlier posts, even most respectable English captains of the fleet, like Charles Windham, Francis Drake or John Hawkins were labelled filthy pirates or corsairs by Spanish historians, often with good reason. Sailing to the Canary Islands, even in the early 19th century, was risky and dangerous. It was also tough, with ships very often running out of food and water. A modern cruise liner will be nudged gently against the south mole in Santa Cruz de Tenerife after leaving Southampton in just four or five days. Eighteenth century vessels like the Mayflower could take weeks to complete the voyage. Their square rigging meant they depended on the convenient direction and strength of the winds to make any headway. They often ran into rocks or uncharted sandbanks and sometimes had to seek shelter for days on end in friendly coves until a privateer or an enemy vessel became tired of waiting and moved on. On her maiden voyage the Mayflower sailed into the English Channel accompanied by three or four other merchants, all laden with wheat and bound for the island of Tenerife. Pleford Clark had an uneasy time with changing winds before finally beating it out of the English Channel and heading south. By then all ships in that particular trading fleet had lost sight of each other. On the way south the Mayflower passed Porto Santo of the Madeiras on her starboard beam and then, two days later, the Savage Islands, half-way between Madeira and the Canaries. These islands have belonged to Portugal since 1438 but Spain has recently claimed they should be classified as rocks, effectively eliminating Portuguese sovereign rights over them, as a result of the Portuguese having prevented Canary Island fishing vessels from fishing within coastal waters. In fact they are sparesely inhabited and in 1971 they were declared a nature reserve for their importance in the nidification of certain bird species, especially Cory's Shearwater. 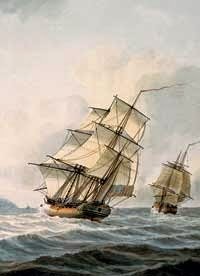 It was a safe and speedy voyage and they were anchored off Port Orotava, today known as Puerto de la Cruz, just twenty days after leaving the English Channel. There were several other merchant ships anchored off shore and Clark would have to wait in the queue. All the ships loaded barricas or casks of Tenerife’s famous wines destined for the inns of England and Europe. 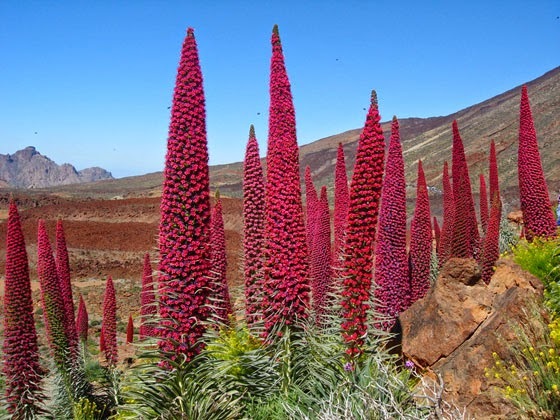 It was towards the end of October and Mount Teide was completely white after recent snowfalls. The little taverns or guachinches were jolly with English sailors gulping cups of Malmsey wine and eating what the host offered as the dish of the day. 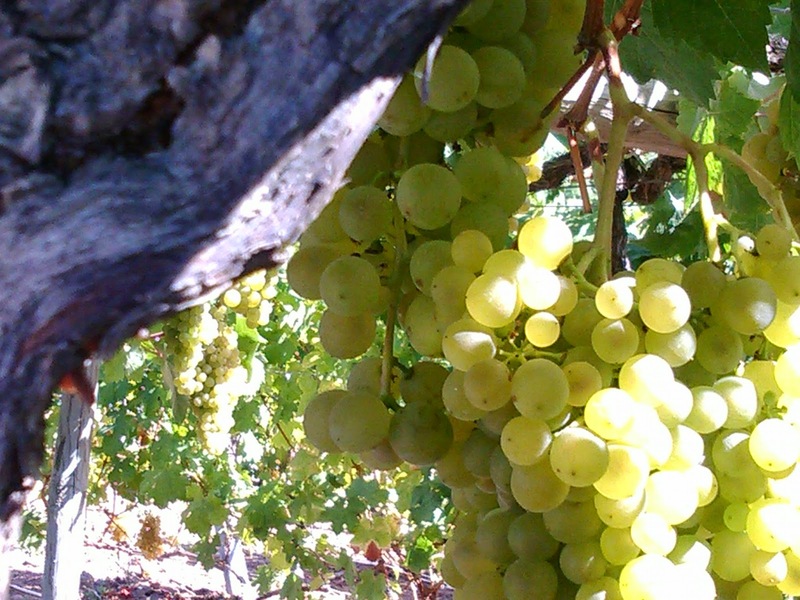 Some historians believe the word guachinche came from the English expression “I’m watching ye” used by these early English wine buyers when they were ready to sample the local product. When it was the Mayflower’s turn, Pleford Clark began to unload his supply of wheat and to take on barrels of wine. It was a slow process. Everything had to be ferried in and out by lancha. 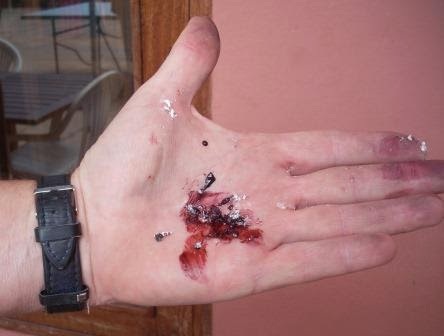 There were no safe coves along the north coast of Tenerife. 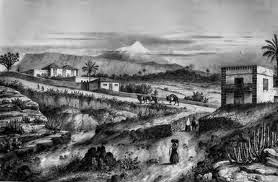 There were no convenient ports either, except for Santa Cruz after the old harbour of Garachico was destroyed by the volcanic eruption of 1706. So sailors were firmly at the mercy of the seas. In fact, being late October, the Atlantic had begun to show its temper and the little ship was forced to weigh anchor and to make for the open sea and wait for the predominant north easterly wind and calmer waters. It was a common occurrence and the Mayflower weighed anchor at least five times off Port Orotava before completing her load. But the wine was a profitable business and Tenerife’s vineyards, as Shakespeare recorded in works like The Merry Wives of Windsor, produced the finest wines, just as they do today. The Mayflower could not return to England without her full capacity of barrels and, on this her maiden voyage, took six weeks to unload her wheat and to load up her 360 kegs of wine purchased at Port Orotava. Once loaded, Pleford Clark sailed his ship along the northwest coast as far as Garachico. Even more famous than the Orotava Valley for its Malmsey wines, Garachico was also where ships preferred to take on supplies of water because it was considered the purest. 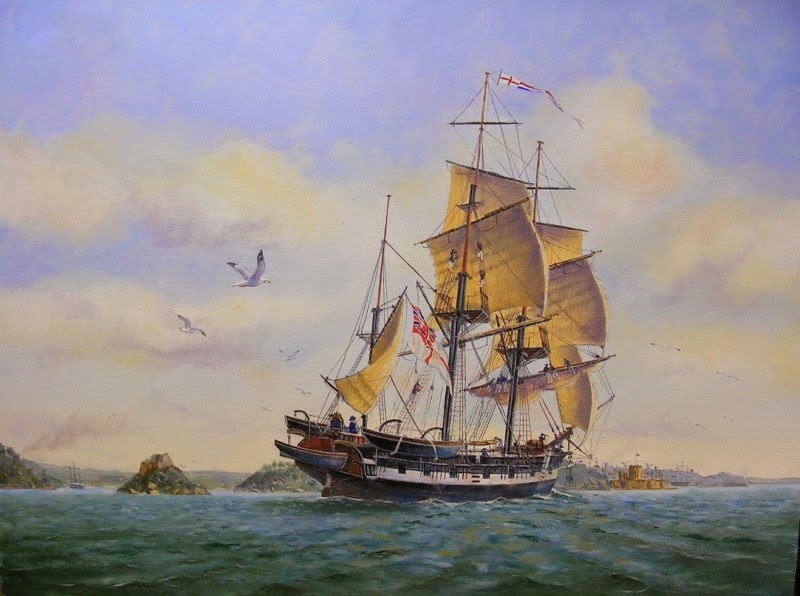 The return voyage to England was not dull although, due to unfavourable winds, the crew aboard the Mayflower could still see Garachico five days after weighing anchor. Close to Madeira the Mayflower’s lookout spotted what he considered to be an unfriendly ship moving to intercept them from the west. It was indeed what was known as a Salley Rover, a Moroccan corsair from Sale, a walled medieval merchant port and the base used by the Barbary pirates. Sailors dreaded encountering theses small pirate ships. They could easily outmanoeuvre the European merchant vessels and the crews manning these small vessels had a very bloody reputation, attacking at all cost for the smallest prize. 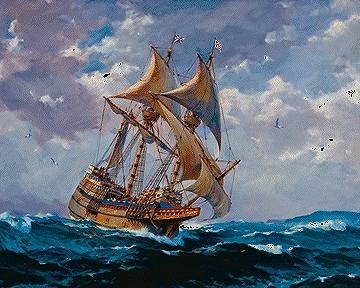 There was no point seeking shelter in one of the Madeira Islands because the Moroccan would simply follow the Mayflower. Pleford Clark knew he must try to make a run for it. Although the other could manoeuvre with ease, the Mayflower had a strong wind behind her, whereas the pirate, heading eastwards from some hiding place in the Madeiras, appeared to be making heavy weather of it. Indeed the Mayflower slipped past and northwards at a good rate and the Moroccan gave up the chase and continued in a south-easterly direction, possibly back to Sale. Their best weapon was the surprise approach and on this occasion they had been spotted in time. From there on the voyage home was uneventful. Nevertheless Pleford Clark did have the strange pleasure of exchanging greetings with what was known as a friendly pirate, in this case a roaming Dutchman only interested in terrorising fat French merchants returning to Le Havre or Bordeaux. The Mayflower made several journeys in following years to pick up good wines from Port Orotava and Garachico. She was just one example of the many foreign vessels that traded with these islands since the earliest days of he Spanish conquest. 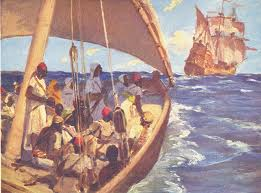 But there were many more, especially ships of the British East India Company who simply used the Canary Islands to stock up with food and water before heading south down the coast of Africa or across the Atlantic for the spoils in the Americas. 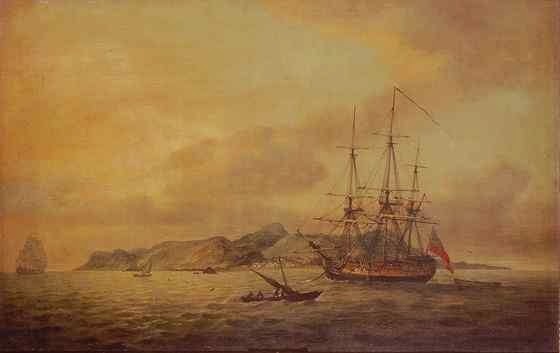 Above is a detailed 1790 painting showing the company’s Hindustan anchored off the rocky coast of Tenerife with a small local craft in the foreground. 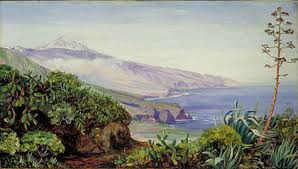 Farrow Siddall Bellamy became one of the most distinguished and yet least remembered of those pioneering Victorian visitors who left their mark on the island of Tenerife. He was born in 1865 at Belton, in the Isle of Axholm part of Lincolnshire and first came to live in the Canary Islands at the age of twenty. 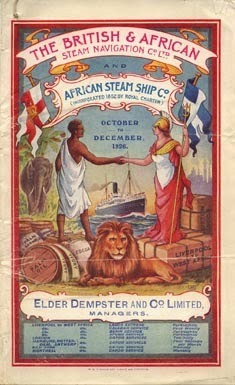 He was employed in Las Palmas by the Liverpool firm of Elder Dempster and Company, whose shipping line advertised regular services from Liverpool, London and Hull to West African ports, calling at Madeira, Grand Canary and Tenerife. 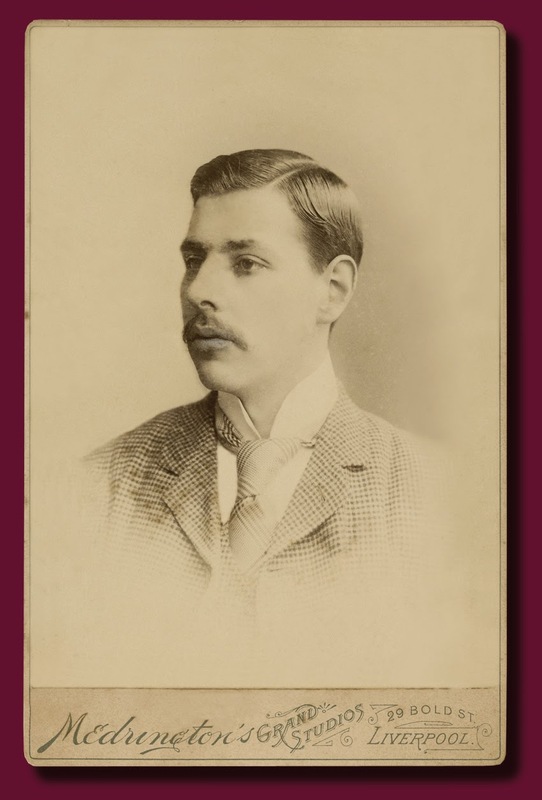 He spent thirteen years in Grand Canary and was married to Alice Harrison before moving across to Tenerife in 1898 to manage the company’s affairs on the sister island. 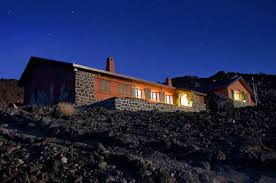 In fact, Mister Bellamy spent the rest of his days in Tenerife where he died in 1947. 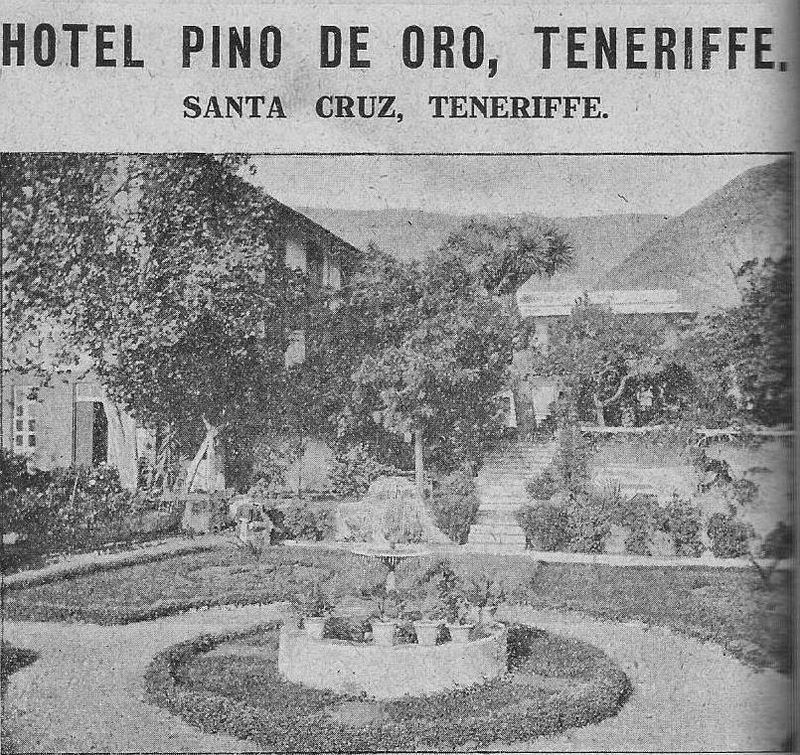 While at the helm of Elder Dempster he managed the shipping agency, the supply of coal to calling steamships and the running of one of the finest old hotels in Santa Cruz, the Hotel Pino de Oro. The hotel had been opened by his employer at Elder Dempster, Sir Alfred Lewis Jones, who had taken over the ownership of the shipping company in the 1890s. Many years later, in 1932, the Pino de Oro prided itself in being the only English hotel on the island. It was set in fine gardens with a mix of English and Mediterranean styles and, being at three hundred feet above sea level, commanded excellent views over the harbour. The hotel was advertised as lit throughout by electricity and with a drainage system that had been arranged on the improved sanitary principle by an English sanitary engineer. Of great importance was the hotel’s proximity to the Anglican St. George’s Church to which Farrow Siddall Bellamy donated its beautiful pulpit. Bellamy was a very cultured gentleman, able to speak Spanish, French, Italian and German. He also learnt to play the organ. He even bought himself one originally destined for the Gaudi Cathedral in Barcelona and had it installed in his Santa Cruz mansion, Salamanca. 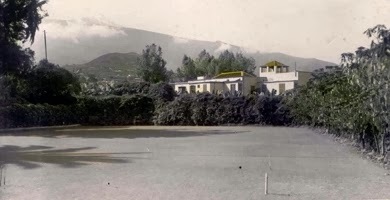 It was a splendid house with magnificent gardens and gave its name to a busy district in the capital of Tenerife known today as the Barrio de Salamanca. 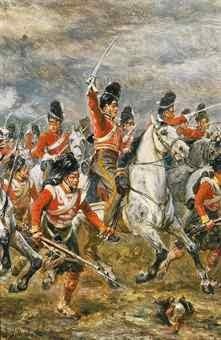 Bellamy is also believed to have taken a keen interest in history, even writing fine books about early Spain, the Greeks, the Romans and other European cultures. As we can see, Farrow Siddall Bellamy was no ordinary English businessman abroad but, for some reason worth researching in the future, his achievements were recognised much more by his Spanish hosts and other nationalities than by his own countrymen. 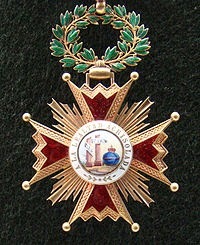 Spain awarded Bellamy with the Order of Isabella the Catholic, a civil order acknowledging the services of any person, be they Spanish or foreign. Sweden presented him with their Order of the Pole Star, possibly for his services as honorary consul, and the Belgians presented him with the Order of Leopold 1st. 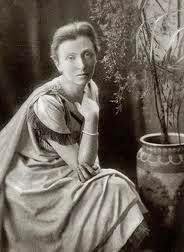 Alice Bellamy gave him a daughter, Sylvia Cristina and three sons, all of whom were educated at Lancing College in the beautiful West Sussex countryside and volunteered for the British Army to serve in the 1914 war. 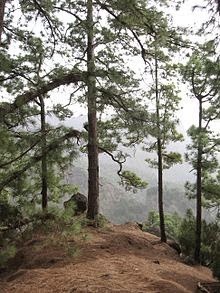 The youngest, Cecil, returned to Tenerife where he died in 1983. To finish with a couple of anecdotes, when Alice died in December, 1946 Mr Bellamy married an English lady called Rhoda. She had at one time been a servant at their house, Salamanca and contacted Farrow Bellamy offering to help him with the writing of his books. After a short time she suggested they should be married as "people were beginning to talk". He accepted. Rhoda looked after him until he died and then returned to England. On a lighter note, Bellamy is believed to have been one of the first or indeed the first person to have owned a motorcar in Tenerife. 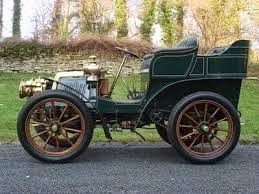 On 14th February 1902 his legal adviser presented the Civil Governor with a document expressing, as formally as was required in such important circumstances, “Having recently acquired in Paris an automobile from the firm of Panhard and Levassor for his own particular use I hereby request your corresponding permission for Mr. Bellamy to circulate freely along the streets and roads in accordance with the laws governing automobile vehicles. He is the one who will be driving it”. The car is thought to have terrified the local population, especially when he first drove into the hills. He took the same vehicle across the whole of Spain to research for one of his books entitled The Cathedrals and Churches of Spain. Sadly however, the magnificent automobile, believed to have been the first of two cars to have carried the same number plate of TE1, caught fire in the Las Mercedes hills when Bellamy tried to pour in more gasoline with the engine running! My sincere thanks to Amanda Johnson for making comments which have enabled me to correct one or two factual errors in this article. Just over a century and a half ago, in 1859, Charles Darwin published his theory of evolution with compelling evidence in On the Origin of the Species by Natural Selection. His interest in natural evolution had gown as a result of his five year voyage of natural exploration around the world aboard H.M.S. Beagle. What many people living in the Canary Islands don’t know is that he came so close to being yet another of the great scientists who fell for the charms of Tenerife before the island became a victim to the onslaught of progress. 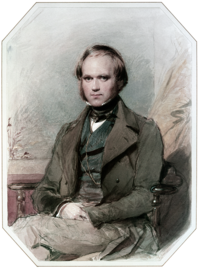 According to his autobiography of 1881, Darwin’s interest in the island stems from his days as a young student at Cambridge. 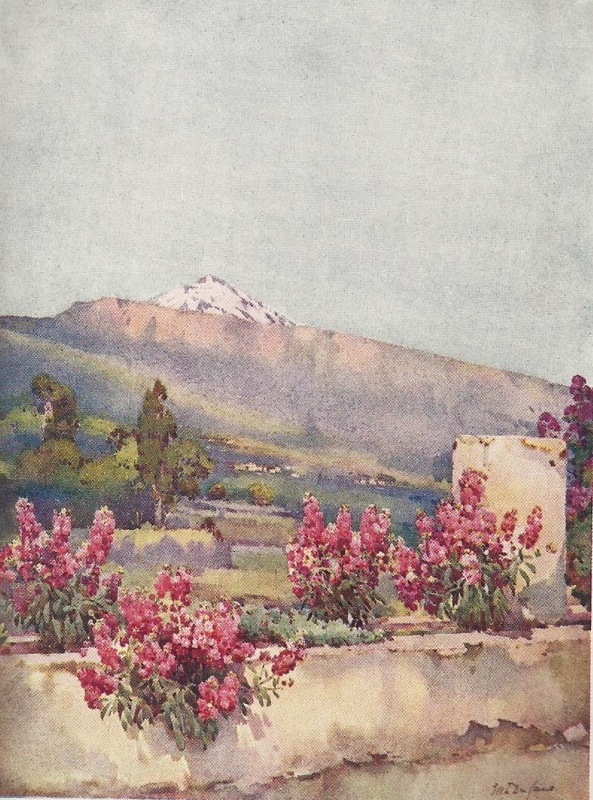 Some of his letters refer to his desire to live in Tenerife for a time in order to study the unique nature of the island’s flora. 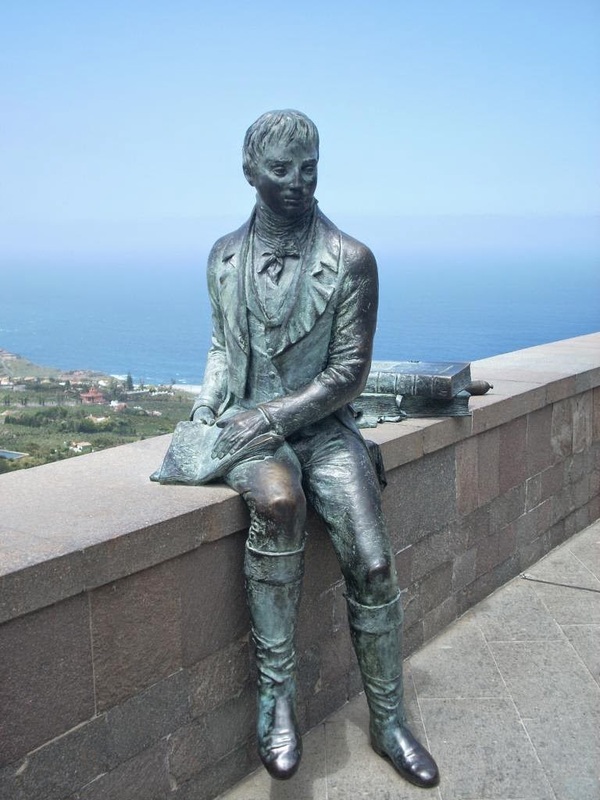 In fact Darwin longed to visit the island, particularly the Valley of La Orotava, after reading so much about the island in the works of Friedrich Alexander von Humboldt, the famous German naturalist and geographer. The young fellow was evidently not a good student in spite of his father, Robert Darwin, being a physician, poet and naturalist. On the contrary, he rather enjoyed his early student days riding, shooting, listening to music and collecting beetles, a popular craze in those days and which he was particularly good at. Putting the pleasures of life before study is not surprising. His father sent him to Cambridge to prepare himself as an Anglican parson because he wouldn’t take his learning seriously at the University of Edinburgh’s Medical School. Preaching the word of God was not his thing. 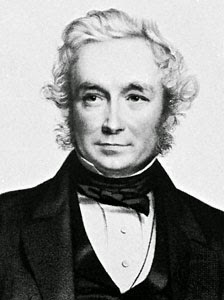 Nevertheless he settled down after making friends with clergyman and Professor of botany and geology, John Stevens Henslow, who persuaded him to study geology. Indeed it was Henslow, in 1831, who secured his position as naturalist aboard H.M.S. Beagle, commissioned to carry out a five-year voyage surveying different parts of the world. Charles Darwin was delighted, especially after learning that one of the first ports of call was going to be Tenerife. 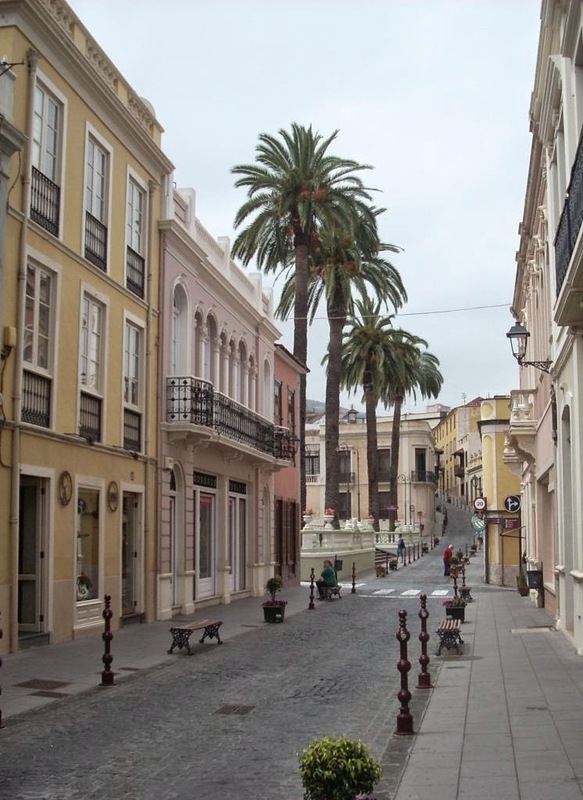 However, he was to be terribly disappointed a few months later, and one has to wonder if the island and the Orotava Valley would have evolved as they have had Charles Darwin landed in Tenerife. 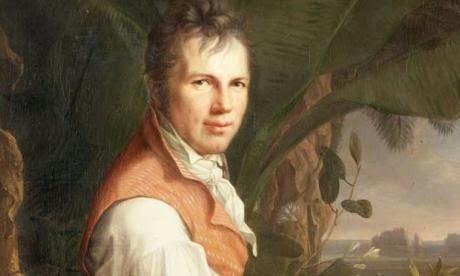 Would he, like today’s beautiful statue of Alexander von Humboldt, which sits above the valley, also turn his back to what paradise has become as a result of human progress? The naturalist had planned a thorough exploration of the island with his friend Ramsay. But just as they released anchor off the port of Santa Cruz, a small rowing boat from the island Health Office came out to meet the Beagle. 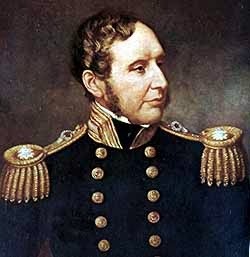 An officer informed Captain Robert Fitzroy that they were prevented from going ashore. News had arrived that there had been an outbreak of cholera in England and therefore, as a precautionary measure, the crew and passengers aboard H.M.S. 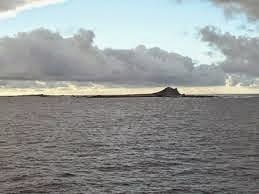 Beagle would have to wait out a quarantine period of twelve days before setting foot on Tenerife. As Fitzroy recorded, “this was a great disappointment to Mr Darwin, who had cherished a hope of visiting the Peak. 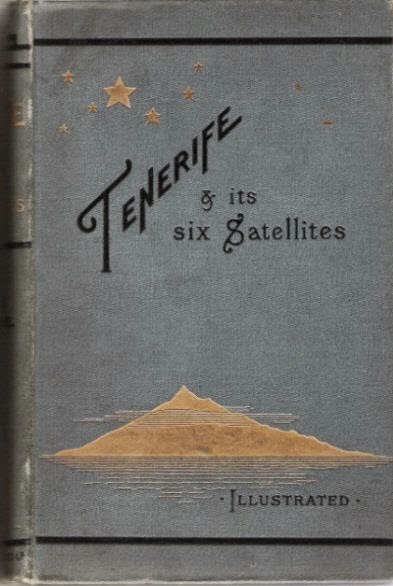 To see it, to anchor and be on the point of landing, yet be obliged to turn away without the slightest prospect of beholding Tenerife again, was indeed to him a real calamity”. As Alan Moorhead suggested in his book “Darwin and the Beagle” in 1969, it was also a disappointment for the island’s inhabitants. 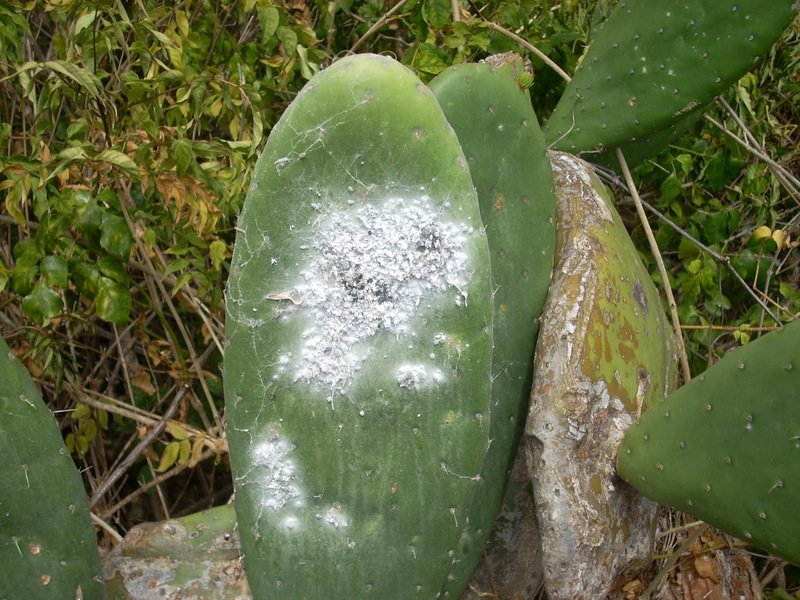 Local daily newspaper, El Día insisted the island had been denied the visit and investigations of one of the greatest scientists of the time. On the Beagle was Darwin’s great friend, Auguste Earle, the painter. He had embarked with Charles Darwin in April 1832 as topographical artist and draughtsman aboard the Beagle although problems with his health forced him to leave the ship at Montevideo and return to England. He too was disappointed at being prevented from going ashore in Tenerife. 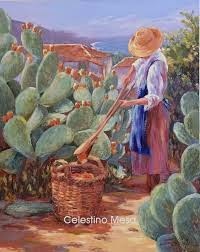 His sketches would sit proudly alongside those of so many fine artists who have captured the charms of the island. Nevertheless it appears Earle was able to paint what his eyes could see from aboard the ship and it would be interesting to find an example of that particular work. H.M.S. 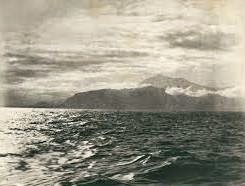 Beagle went on her way before the twelve days of quarantine were up because Captain Fitzroy felt he needed to take advantage of perfect weather conditions for crossing the Atlantic. 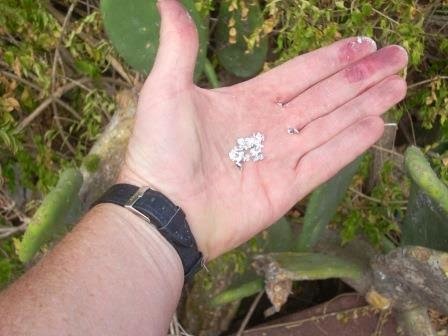 It was many years later that Charles Darwin’s attention was drawn again to Tenerife. 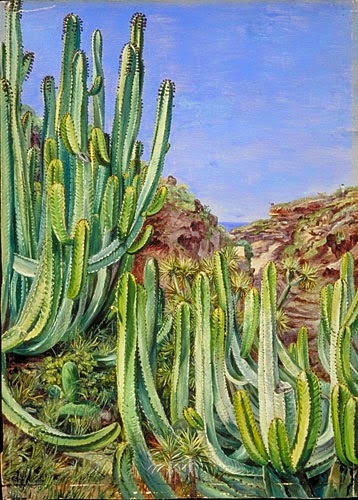 Through conversations with other botanists and admirers of Tenerife like Sir Charles Lyell and Marianne North, he was able to sense the gentle and often spectacular and colourful nature of the island which he had so cruelly been deprived of exploring all those years before.Indeed, Marianne North was able to enchant Darwin when he was an old man with her paintings of botanical species in Tenerife. British residents who were lucky enough to have lived in what was still an enchanting Orotava Valley on the Atlantic island of Tenerife in the early 20th century knew him affectionately as Jimmy Pills. He was one of only a handful of doctors attending to a local population of just a few thousand. It was a time when the one or two little hospitals in the valley were in the hands of local ladies’ committees and run by nuns. The sisters, in their white and black habits, acted as nurses and were believed to be quite efficient. However, by tradition, they were not permitted to touch a male invalid. Doctor Ingram was born in Edinburgh in 1860. His father was the Reverend Gordon Ingram, Minister of Urquhart and he was one of eleven brothers and sisters. 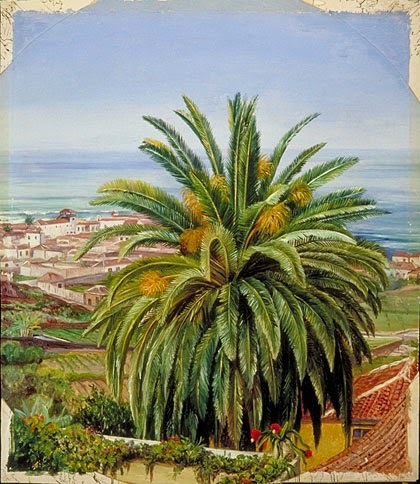 When he arrived in Tenerife after a spell in Africa in about 1903 he initially worked with Doctor Tomás Zerolo, a well-known local practitioner based in La Orotava. 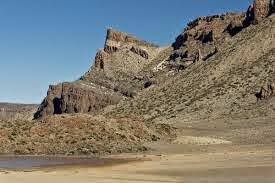 Eventually he took over a surgery from a fellow Scot, Doctor Frederick Lisham, in Puerto de la Cruz. Jimmy Pills became a very popular figure in the town and was well liked by both British and Canary Islanders. He rented San Antonio, the huge mansion just beside the British Games Club where he lived with his wife, Leticia McAndish. It might have been a personal decision taken by a grumpy councillor at the time but when he first applied to open his own surgery in Puerto, Doctor Ingram was not granted permission to do so for one of those simple, bureaucratic reasons minor politicians so enjoy to find. He couldn’t provide acceptable proof in Spanish that he was a qualified doctor, even though his medical knowledge had already been put to the test with considerable merit under Doctor Zerolo in La Orotava. In other words, he might have been highly trained in Edinburgh but without a Spanish title obtained at a Spanish University there was nothing to do. Like most British residents who decide to settle in the Canary Islands, Jimmy Pills was by no means a linguist and never quite got to grips with the Spanish language, and his accent was often made fun of. Nevertheless James Ingram refused to give up. After studying at Madrid University he got his Spanish title and with it permission to treat local patients. In those days privileged folk in the Canaries seem to have suffered quite a lot from rheumatism, gout and diseases of the kidney. Jimmy Pills was always one for healthy, natural remedies and would advocate patients, especially those with gout and kidney complaints, to indulge themselves with a constant supply of green vegetables, tomatoes and fresh fruit, all of which were in abundance locally. 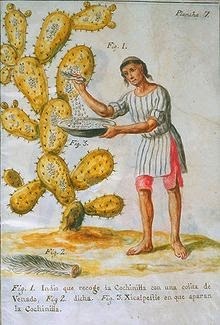 Nevertheless, he was anxious to advise newly arrived visitors that they should wash fruit and vegetables thoroughly before eating them, to refrain from taking exercise in the heat of the summer and to be extremely wary of the local wine. Canary wines today are first class, of course, the whites and rosés being highly acclaimed for their quality and variety, but unwary foreigners do still suffer bouts of what, in the early 1900s, was known as climatic diarrhoea. This was commonly blamed upon some kind of unsympathetic matter in the stomach and the cure would generally be commenced by a very Anglo-Saxon strong dose of castor oil. Much more pleasant was a retreat, by mule, up into the dry atmosphere on Mount Teide, which apparently did wonders for lung complaints. However, Jimmy Pills was a great believer in sea bathing all the year round, which he strongly recommended to keep bugs at bay. 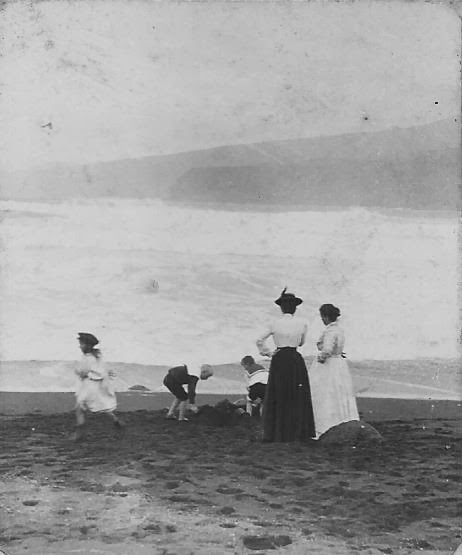 This was something local islanders tended to avoid doing and many, even a century later, still believe one should only step onto the beach from May until October…when the magnificent black sand beaches are almost too hot to walk upon. James Ingram was a likeable gentleman and he became one of the great characters in the valley. He was driven around the dusty roads in a little Ford by his local chauffeur called Tamajón, and most of the wealthy families were treated by him at one stage or another. The Scottish doctor was also generous with the poor. There was no health service, of course, and he is known to have never asked for a penny from anyone who didn’t have the means to pay. Jimmy Pills took on a young apprentice, Doctor Isidoro Luz Carpenter, and an English nurse called Miss Stevens. The apprentice went on to become one of the finest doctors in the valley and he must have learnt a thing or two from his Scottish mentor because queues of working class patients would be seen waiting for free medical treatment outside the surgery in the middle of banana plantations on his estate, El Llano del Pavo. 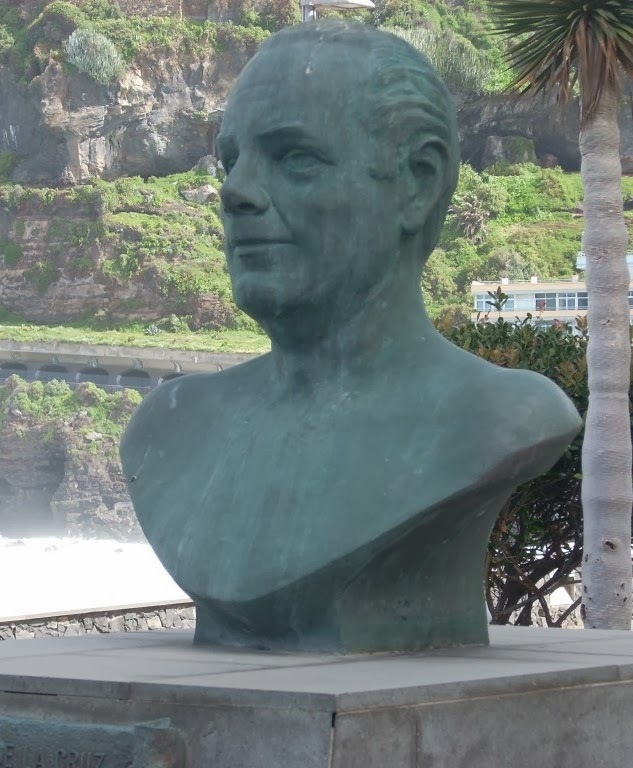 Doctor Luz also became one of the most outstanding mayors ever to govern Puerto de la Cruz and it is perhaps through him that the good Doctor Ingram is still remembered today. As Mayor many years after the doctor’s death in 1933, he was able to honour James Ingram by naming one of Puerto’s central streets after him. In fact Jimmy Pills had already been decorated by the Town Council towards the end of the First World War for his work dealing with a flu epidemic. 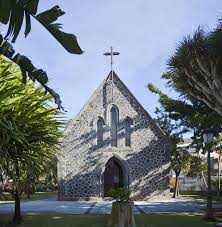 James Kyd Duncan Ingram died in 1933 and was laid to rest in el cementerio inglés, the English Protestant Cemetery in Puerto de la Cruz.